1970 was a classic vintage for port and this example from Cockburn shows rather more elegance than might be expected to be the norm for this house. This port has a nose of candied raisins, licorice and dried nuts with notes of vanilla and marzipan along with some toffee and coffee notes. The palate is full-bodied and shows flavours of toffee and licorice with some plum fruit and a long finish. It does not require further cellaring but it is drinking very well at the moment and represents a fine opportunity to savour an aged vintage port. 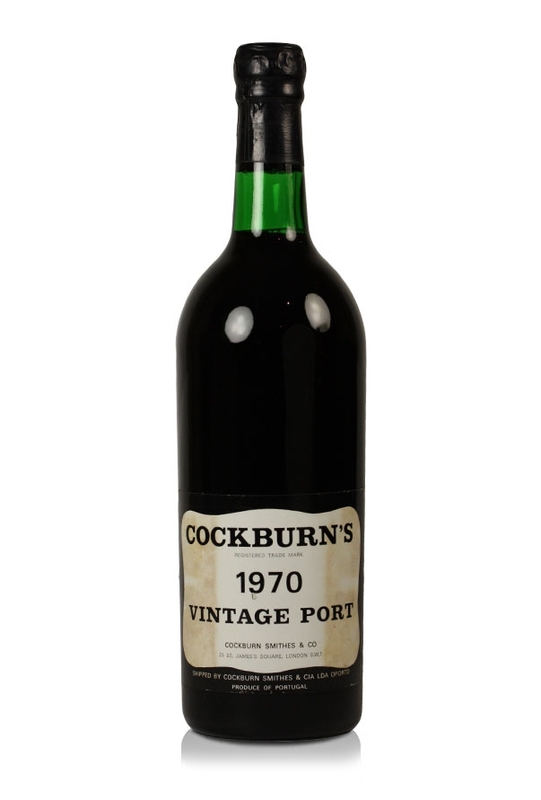 Cockburn's is a well-known and long established port house (1815) which has a reputation for producing rich and full-bodied vintages with a meaty and chocolate spice that, although perhaps lacking the elegance of the absolute finest port wines nevertheless provide very good after dinner drinking.